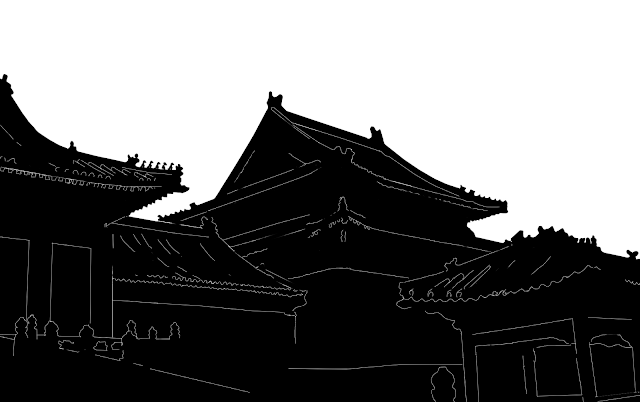 Silhouettes of different examples of the Chinese style of architecture.Chinese architecture has its own unique style and is centuries old, as ancient as Chinese civilisation itself. There is an emphasis on articulation and bilateral symmetry. 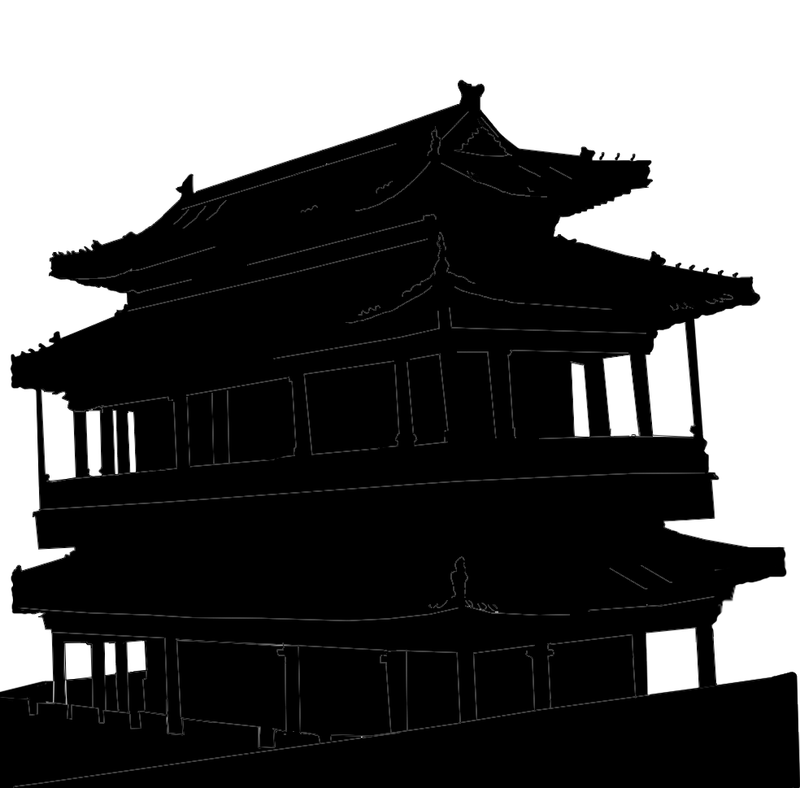 This is a silhouette of a rather staid and normal building on the outskirts of Beijing. A simple black and white silhouette of a few buildings in the Forbidden City complex. Another main building in the Forbidden City complex. 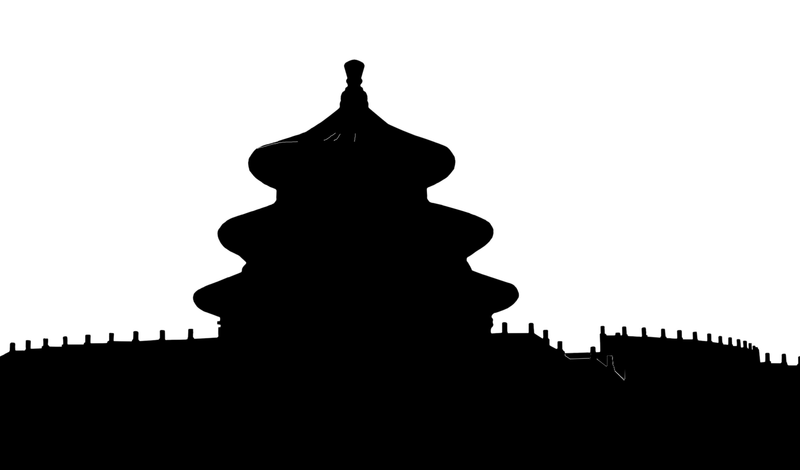 A black and white silhouette of the Temple of Heavan in China. 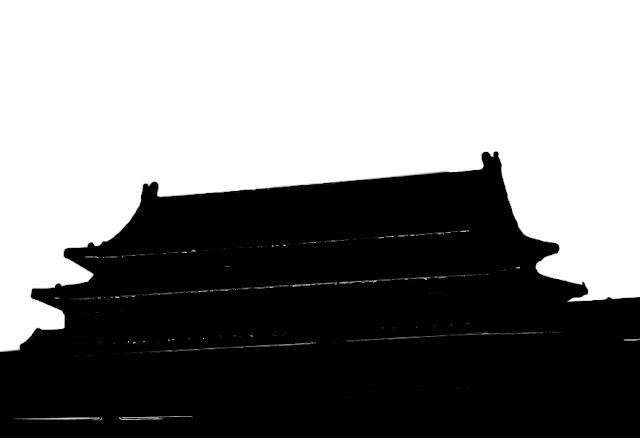 A silhouette of a shopping complex in Lu Garden in Shanghai. 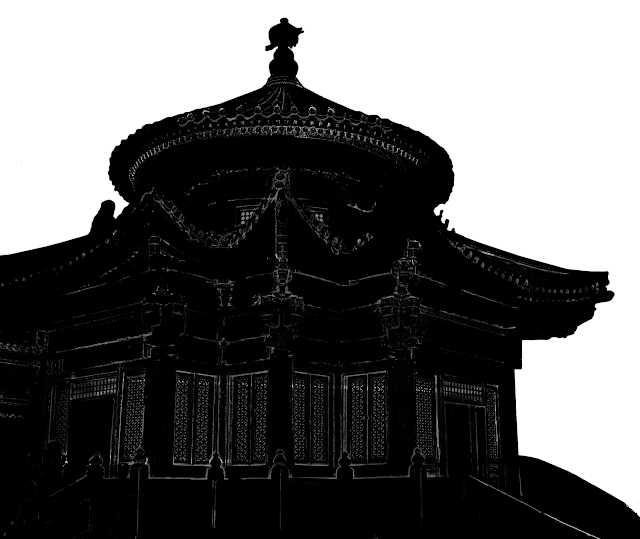 A silhouette of a small temple like structure inside a large temple complex. The intricacy of the decorate work on the doors and windows has been highlighted. You can check out more photographs and posts on China which have pictures of tourist attractions, Buddha temples, Chinese cities and the Chinese people. 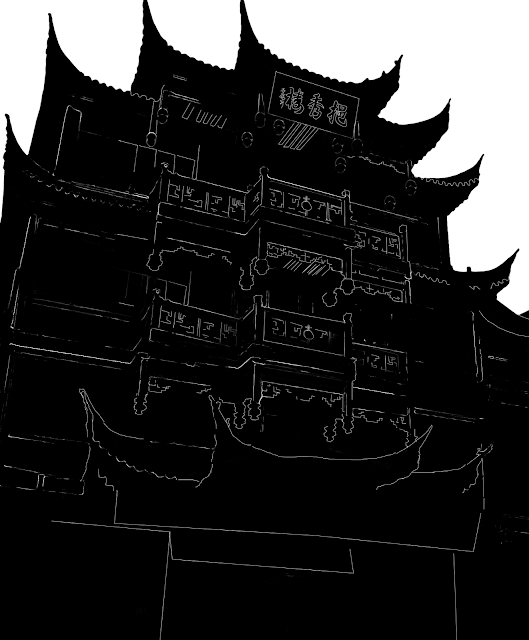 There are also pictures and sketches of skylines of Chinese cities like Shanghai. If you are interested in buildings then check out the label "Architecture"and here you will find sketches, silhouettes as well as photographs of ancient monuments, skyscrapers, high-rises and other types of buildings from different parts of the world.